Arlen Ness ″Hot Leg″ Fork Legs are constructed from forged billet aluminum and machined to perfection. Arlen Ness ″Hot Leg″ Fork Legs are constructed from forged billet aluminum and machined to perfection. They feature a tapered design with a hidden axle to drastically clean up your front end, where it will have the most noticeable impact to the overall look of your bike. Dual disc or single disc caliper braking configurations are available. 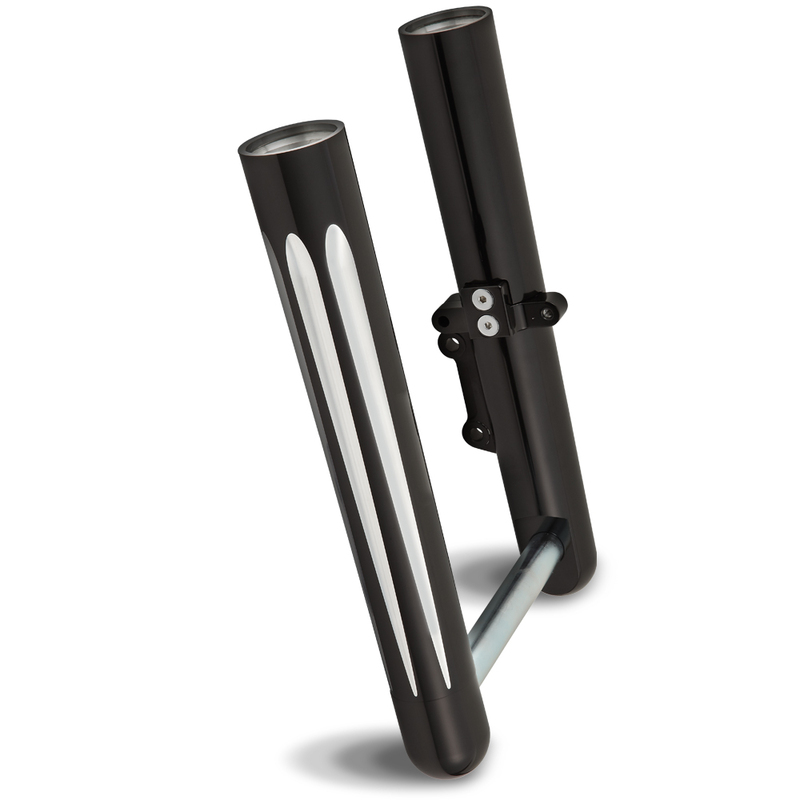 ″Hot Legs″ for FXST Softail® & Dyna® models include a billet aluminum dust seal at the top of the fork leg to cover the fork seal for a finished look. 00-up FLST/FXST Softail® models, except Softail® Blackline® and Rocker™. 06-14 FXD /FXDL Dyna® models. Does not fit FXDWG / FXDF models.